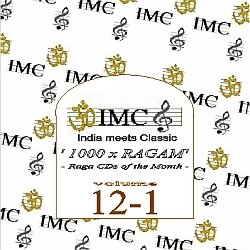 The promotion initiative IMC – India meets Classic presents IMC OnAir’s show being broadcasted for two hours @ TIDE Radio 96.0 FM (and worldwide as webradio) as every 3rd Monday (monthly) with the topic “1000 x RAGAM – the relationship between North and South Indian Classics“. With the past broadcastings IMC OnAir presents Indian Ragas as the basic form of North Indian Classic, the Hindustani music. Following a 24 hours time cyclus Indian ragas are played and listened at certain daily and night times or seasons allocated in the Thaat system of Vishnu Narayan Bhaktande, an Indian music scientist of the 19th century (1860-1936). From ten main raga-s are derived all other raga forms, the females (ragini-s) and their sons (putra-s). 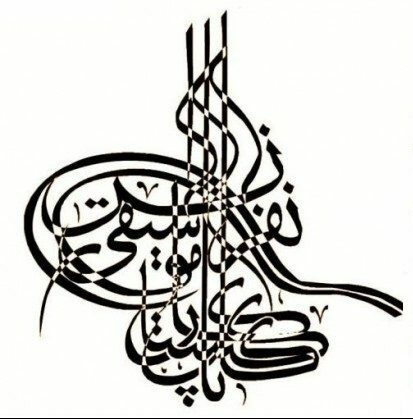 For a comparison with the thaat system IMC OnAir’s radio show „1000 x RAGAMs“ will constrict onto the wide spread raga concept of South India, the >Melakarta system<. 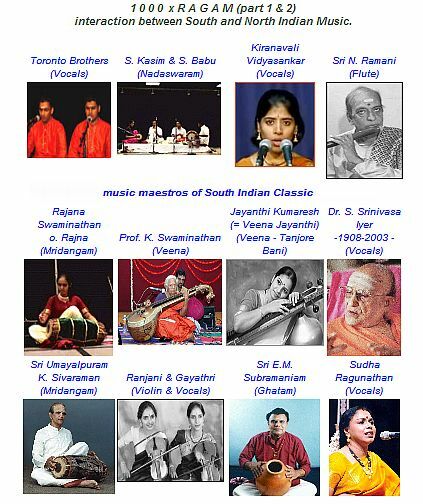 The North Indian ragas are relocated in the South Indian Classic namely as ragam-s. 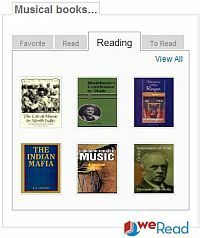 The raga-s of North India (short form: raag-s) and the ragam-s of the South have many things in common. – And there are specifique developments which let exist these two music styles into our current times independently. – As a hypothetical factor for analysis of music theory exist substantial criterias going on to stage performance and instruments, used typically for the South Indian raga form by artists and composers. In our show “1000xRAGAM” (part 1 and 2) you can listen to examples of South Indian ragas, so called RAGAM-S on Indian and Western instruments, e.g. Veena, Nadaswaram, Mridangam and Ghatam (percussion), in Vocal style, e.g. kriti-s and the Violin. Prof. K. Swaminathan (Veena) – Bhaavanjali and temple singing Geethanjali from Tamil Nadu, presented by Smt. MS Subbulakshmi and Kaavyanjali by Sri Muruganar. Sudha Ragunathan (Vocals) – Ragam Varali of Papanasam Sivan’s VIRUTHAM KAAVAAVAA, Embar Kannan (Violin) and Skanda Subramanian (Mridangam). This entry was posted on July 18, 2016 at 4:54 am	and is filed under ENG (English), IMC OnAir - News. You can follow any responses to this entry through the RSS 2.0 feed. You can leave a response, or trackback from your own site.